Welcome to A Little Adrift and thanks for stopping by. 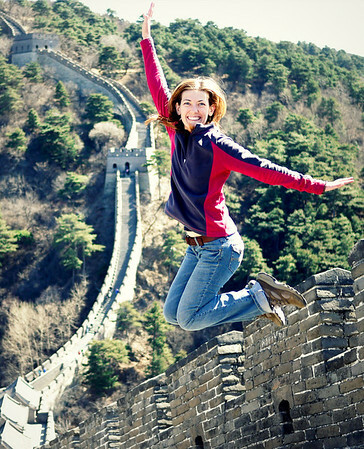 I’m Shannon O’Donnell, and this site has been my home since I left to travel around the world in 2008. I launched A Little Adrift as a way to share my journey, as well as share the hows and whys for others feeling adrift and looking for a change in their lives. Over the years, A Little Adrift evolved from a pure travelogue into a resource point to motivate and encourage other travelers through stories, advice, and photography. Readers have joined at all stages of the journey, some from my first musings from Sydney, others along the way as numerous international news publications featured A Little Adrift. I am humbled the community now spans more than 100 countries and tens of thousands of readers. Many members of the community dream of taking a similar trip and they use A Little Adrift to find the courage and resources to make international travel a reality. To see what projects I’m working on right now, head here. To join the community you can subscribe to updates via email, rss, or the monthly newsletter. Join the community — we’re 60,000+ strong and growing! like-minded travelers, and first access to monthly giveaways. In the early days, this site chronicled my year-long trip around the world trip and shared all the ways I planned, plotted, and made that trip a reality. And through hard-work (and some luck), I have managed to continue traveling and living in various countries and cities for the better part of each year. I craft stories to motivate travelers who dream of traveling but have not yet done so. The site also shares advice and inspiration for others setting off on RTW trips, and occasionally highlights resources and thoughts on location independence. With more than eight years of stories and advice, the site has become a resource spot for other round the world travelers—the travel planning page and destination guides are the most popular on the site. Those resources aggregate tips and advice from this site, as well as the entire travel community and even ALA readers who have shared tips and advice with me over the years. Each time readers email me with questions, I use that information to flesh out the planning and destination resource pages so the entire community can use the information. I’ve worked hard to build the site with extensive support and resources, and the folks at NPR, National Geographic, BBC, and others have pointed to ALA as a cornerstone resource for ethical tourism advice. A Little Adrift’s ultimate goal is to better empower and motivate all interested travelers with solid advice on how to travel the world. I believe we each need the tools and experiences learned through travel, and the A Little Adrift community is committed to motivating students and young adults to expand their worldview through travel. I also believe traveling with a service mindset gives a unique lens through which to immerse in new cultures, and I launched ALA’s sister site, Grassroots Volunteering, as a way to connect travelers to local causes and communities. I have always supported my travels through SEO/online marketing consulting, writing, and photography and I am proud that A Little Adrift remains completely ad-free and does not accept sponsored content. Amazon and affiliate links on the site, in addition to my book, are the sole ways I directly monetize this site. I write to share stories and advice in the hopes of better fostering a community of kindred spirits here on A Little Adrift. An overview of my year-long round the world trip. Visit the destination travel guides for specific advice for each county. My full travel photography archive. View this site’s full archives here. Here are my current projects, passions, and location. I am a former actress, current speaker, writer, traveler, and storyteller (view all my projects and portfolio here). And though it seemed a distant possibility in the early days of travel, I have managed to make international travel the focus of my life and work. When I left the US in 2008, I had many motivations for traveling solo around the world, but the short version is something like this: I grew up in a sleepy town in Florida, moved to Los Angeles to pursue an acting career after studying Advertising/Public Relations at the University of Central Florida. After two years in Los Angeles, I wanted to change my life to embrace my dream to travel long-term. In a spur of the moment decision, I packed up my life in California and traveled around the world for a year while volunteering and supporting communities along the way. That focus on local-level service and support led to my first book; The Volunteer Traveler’s Handbook (fall 2012) was met with many positive reviews, including Booklist Magazine, the Midwest Book Review, and Marilyn Terrell from National Geographic Traveler, as well as wonderful feedback from the ALA community. As the A Little Adrift community spread to include travelers on every continent on earth, I have expanded deeper into travel community, looking for opportunities to use my experiences to motivate others to act on their dreams of international travel. National Geographic named me a 2013 Traveler of the Year, and my writing and photography have been featured on Canada’s Globe and Mail, BBC Travel, USA Today, Lonely Planet, and Cosmopolitan Italy magazine, among other places (the press/PR page holds those details, along with an author bio and media information on my book). Public speaking is also a passion and I regularly speak with students about travel, international volunteering, and the importance cultivating an informed worldview. In addition, I speak about SEO and web marketing at travel industry conferences. More details are on my contact page, or connect on social media below. This page here is updated monthly with my travel and project plans!